We do not advocate using CUE as a legal means to attain the proper rating but apparently that hasn’t stopped some of you from doing so. More than a year ago now, WGM used it to overturn the Whacko, Texas RO’s decision that his risk factor of STDs was willful misconduct. That was egregious and indisputably wrong. 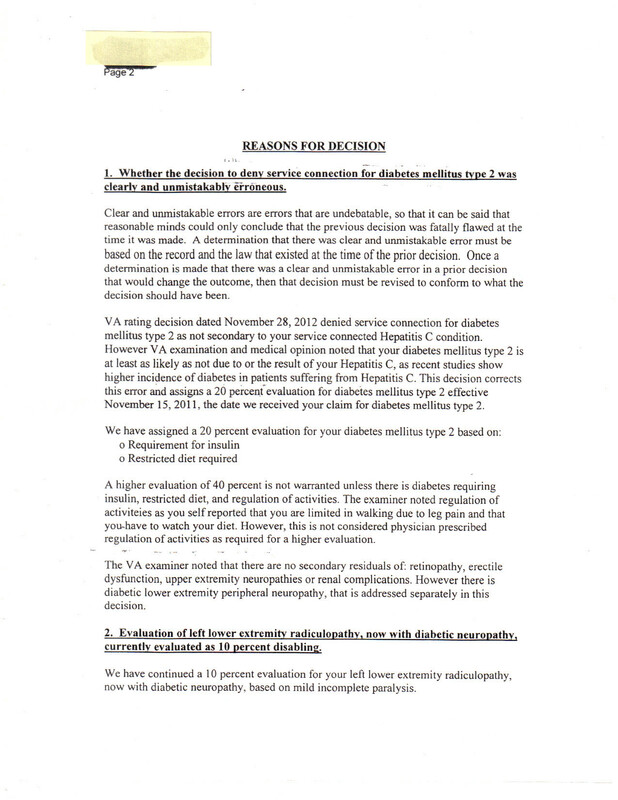 Randy decided to go after them with the CUE stick based on his DM2 being related to his now service-connected HCV. Forget that VA has published its own literature that connects the two. Ignore that the correlation between the two is almost undebatable. Finally, make a stand and decide to pull a Custer and die on that hill. All to no avail as we see here. When faced with the inevitable, VA meekly retreated and granted that which should have been granted at the outset. As I have written extensively in my book and here on site, just because you are right and VA is wrong, do not expect them to acknowledge it. They will often fight you to the dirt and pray you give up. They test your mettle to see what you are made of. Randy ostensibly had AMVETS as a sword carrier but we all know what that entails. An amanuensis must be more than a simple transcriber or recorder. They must go beyond the traditional role of mailman and holder of the coat and hat. It’s more than likely they will show up on his doorstep asking for their trophy wall photos. Randy has been an avid reader and had great success with his claims shortly after arriving here. Many do. I am not patting myself on the back. I simply illustrate what I did and try to impress on my fellow Vets how it may help them. CUE is a tough cookie for VA to chew. They rarely grant it. We’ve had three here including this. It is satisfying to know they can make mistakes. The icing is when they admit it and correct the injustice. Randy fought long and hard, did his homework, and this is the stellar result. It is worthy of framing. Today marks 35 “kills” or wins using information obtained from this site. I am not responsible for them. You, Veterans, are. You chose to read long and hard and immerse yourself in the art of VA warfare. You decided to pursue these injustices and right them. You also did it all here at the local level with the exception of three cases. Those three were irrevocably polluted by prior attempts that backfired or were poorly and inartfully presented. Nevertheless, they, too, were salvaged and rose like a phoenix from the ashes. The technique is viable. The results are indisputable. The recipients are all happy campers and many have mounted secondary assaults as Randy did here to get their just desserts. Many, but not all of you, have serious secondary medical issues that can be lethal. Knowing VA’s propensity to deny, I advocate that you get these service connected for several reasons. First and foremost, you need them as insurance when your death certificate is disputed by a VA IMO that says you died of alcohol poisoning rather than HCV. 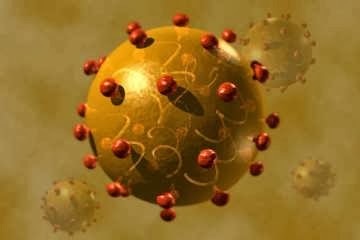 Or worse, you died of complications of DM2 and not your service-connected HCV. If that happens in less than 10 years from your rating, it’s bye bye DIC for the wife-san. VA does this frequently so it is worthy of mention. Secondly, you are entitled to Special Monthly Compensation rates such as SMC-K if you lose the ability to have a romantic relationship with your wife or mistress. 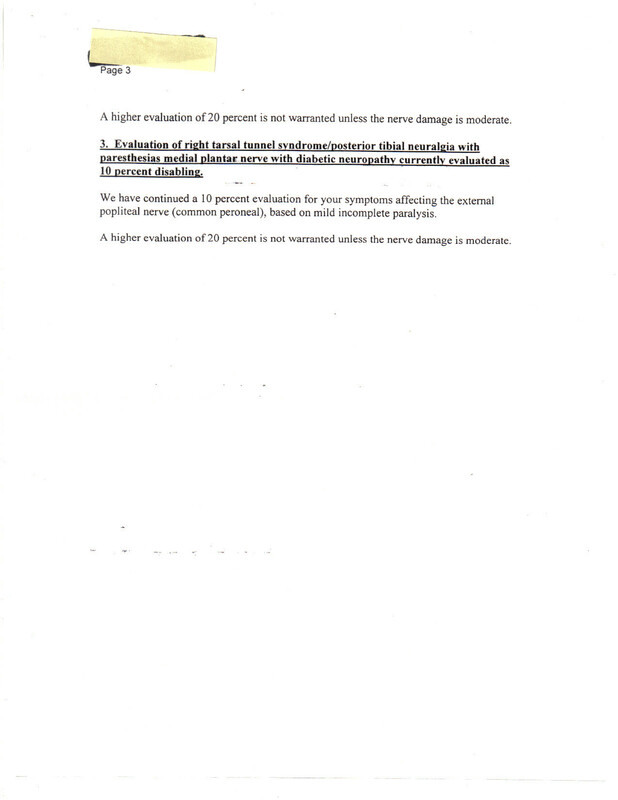 Similarly, SMC-S is available to those of us who are horribly disabled to the tune of 100% plus an additional 60%. Most think 100% or TDIU is the top tier until you need someone to change your diapers and wipe the spittle off your face. VA will not tell you this. Oddly, it seems many VSOs won’t either. Whether that is born of ignorance or collusion is not for discussion today but it is remarkable. With all that blather out of the way, join me in celebrating Randy’s most excellent adventures in CUE land. He’s an apt learner and may be hired to teach these country bumpkins down at the AMVETS VSO office if this keeps up. 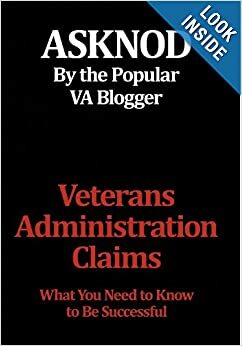 While this may not be very instructive on how to slay the VA dragon, it is a powerful tool for understanding that VA is sloppy and uses denial as a default setting instead of reading their own manuals and scientific dissertations. They rarely self-correct without some prodding. Randy has more than outdone himself here and we are proud of his accomplishments. We report- You attack. He did. He joins the proud pantheon of CUE warriors WGM and Wyn Wn who have gone before him. We expected no less. P.S. Note the reason for not giving Randy 40% for the DM? The doctor didn’t sign the note saying he had said this to Randy already. Where on earth do you think Randy got the idea that he was supposed to “watch” his diet and not to do the Boston Marathon due to “leg pain”? As usual, the Veteran is a liar until vindicated by a licensed medical doctor saying exactly the same thing. I’m betting Randy is one of those kids who used to pull the heads off ants and other small bugs, too. This entry was posted in CUE, vARO Decisions and tagged ASKNOD BOOK, asknod.org, asknod@wordpress.com, BvA and VARO CUE DECISIONS, CUE, DIY vA Claims, Gulf War Vets Help, Help with vA Claims, Help with vA HCV Claims., Helping Veterans, Korean War Vets Help, Service Connection, VA claims, vA claims for diabetes, VA CUE INFO, VA HCV Claims Help, VARO Decision, Veterans claims help, Vietnam Veterans Claims Help.. Bookmark the permalink. I meant to add that I am not represented by any group, VA connected or otherwise. The back door VSO entered me as being represented by AMVETS but they do not even have an office in this state nor do they acknowledge me as a member. I simply choose to fly alone. This way if something gets screwed up I can smack myself rather than smacking a VSO and going to jail. BUT, I do my homework and present the facts as they apply to my particular situation. 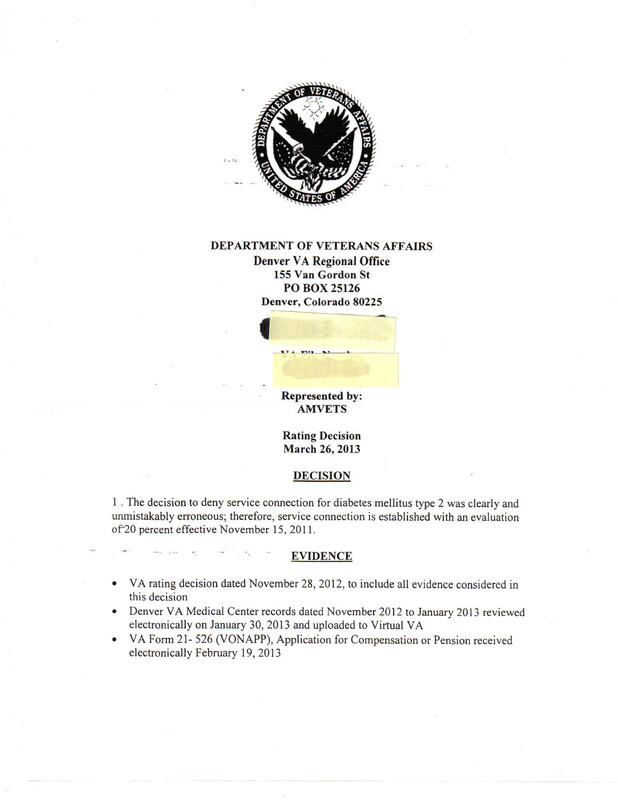 I am hoping to be done with the VA battle by 2014 at the latest. Not true. You were represented by HCVets, an unchartered, unaffiliated, rude officious, in your face advocate for Vets. Congratulations Randy; and well done. use in the future. Press On, live long and prosper. Being a diabetic I guess I’m not smart enough to realize when to exercise and what I should or should not be eating. I read the requirement without spewing coffee out of my nose. Makes for an interesting round three. No AO exposure, thank the Lord but my evil lurking in the liver stopped by and decided he liked the joint. As I have mentioned before I guess I can only be thankful in that I was a medical tech during the days shortly after the border dispute arose and left in 1977. The airguns were used, there was a constant flow of blood from any who dared move and a quick swipe with alcohol and gauze was the mode of cleaning. 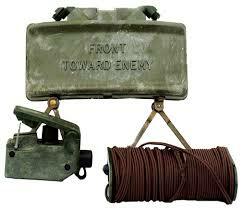 I am looking for one of those airguns now and then my plan is to have it tested in a double blind study. Maybe they will name a dam after me when I’m gone and name it damned right. Hang in their my friends, hang in there. Willful misconduct can only be determined or assigned by a Service Department. Air Force, Navy, those guys. . . Ever. VA can look at the record to see if the military considered something willful misconduct. If not, there is none. The bottom line. But VA gets away with this all the time. This applies to Line Of Duty (LOD) determinations as well. This is valuable information from LawBob; Thanks for sharing Nod. How can we use this knowledge when the vA uses it to deny Vets? Can Vets claim CUE when vA uses this? Randy, First of all, way to go! Secondly, thank you for sharing your paperwork. So instructive.